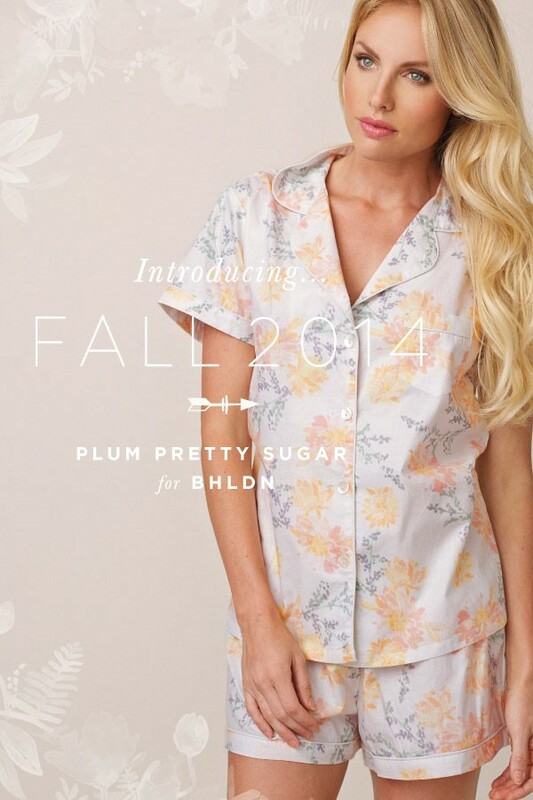 Fall 2014 at Plum Pretty Sugar + FREE Shipping! FREE SHIPPING! We're celebrating the launch of our Plum Pretty Sugar for BHLDN Fall/Winter Collection with Free Shipping on standard domestic orders over $65! Shoppers must enter CELEBRATEBHLDN14 at checkout to receive discount. Valid on orders placed now through August 31, 2014. Order must total $65 without shipping to receive offer. Limit one per customer, per order, per household, per credit card. Orders may not be split or divided. Offer is not retroactive and may not be combines with another promotion. Think you could be a fit for Plum Pretty Sugar? Sign Up today and start earning 15% commission on all sales! If you have any questions, need support with your promotions or are keen to promote the brand please contact the account manager Rachel Tyrer.